R.J. Heisenbottle Architects, P.A. 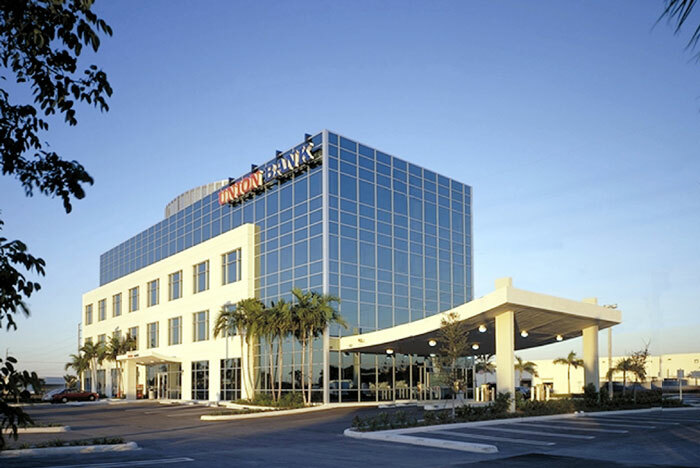 was commissioned to design a four story, 31,200 square foot office building located west of Miami International Airport for Union Bank of Florida. The building has a reinforced concrete frame with glass curtain wall and CMU infill. The ground floor is partially occupied by a branch facility for the Bank and the remainder of the building will be commercial lease space. The upper three floors have full electrical and air conditioning main supplies for future tenant improvements. In addition to being responsible for the office building design, RJHA’s interior designers completed the bank interior, bank administration offices and all public areas. Located in West Miami’s rapidly expanding airport district, the building has been a catalyst for future development in the surrounding community.